If your iPod is synced with your old computer which is alreay corrupted, you should find yourself unable to sync iPod to new computer without erasing. It is true that iTunes only can sync iPod with one iTunes library at a time. However, a smart way will be provided to sync iPod to new computer without deleting songs here. Head and try! iTunes allows to sync an iPod to only one computer at the same time. Or your iPod will be erased. That's the problem. However, there are still some ways to avoid it. Just follow below and sync iPod/iPhone to new computer without losing data. The best way to sync iPod to New computer without deleting music is using iMyFone TunesMate, a perfect alternative of iTunes. Simply put, it is the kind of software that you wish iTunes could be. It can sync an iPod to your new computer without lossing data, no matter your old computer is in working condition or not. Sync iPod to new computer/iTunes library without deleting music. Trasnfer iPod to new computer, or add music from new computer freely to iPod. Win thousands of loyal users every year and receive lots of positive reviews. How to sync iPod to new computer without deleting music? You can download and enjoy iMyFone TunesMate free trial. Step 1: Download, install, and launch TunesMate on your new computer. Plug in your iPod. Step 2: Click "Transfer iDevice Media to iTunes" on home interface and hit "Start" to continue. 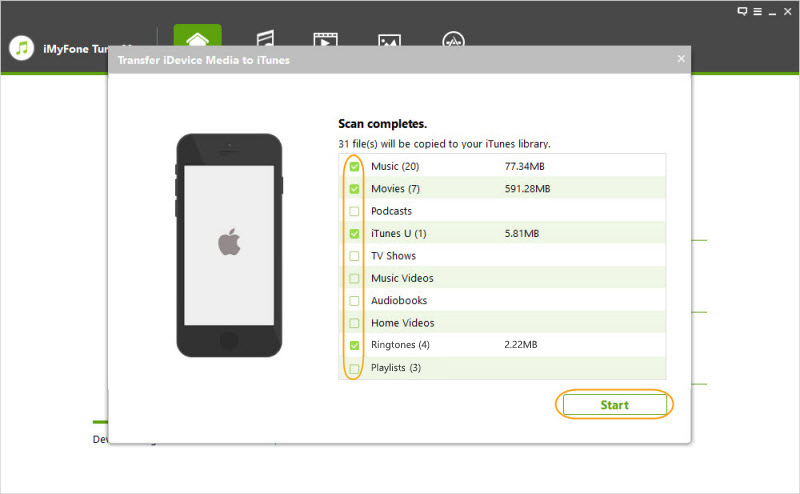 Step 3: All your iPod media will be checked by default, you can uncheck the types which you do not want to sync. Click "Start" to begin the transfer process. This will sync your iPod music to new iTunes library without making you lose data on either end. Or you can select to sync iPod music to local library on computer. Apply "Transfer iDevice Media to iTunes" to enrich your iTunes music library from different iDevices. Use "Transfer iTunes Media to iDevice" and sync iTunes music library back to different iDevices without erasing existing iPod music. How to Transfer Music from iPod to New Computer? Step 1: Open iMyFone TunesMate software the on new computer and link your iPod. Step 2: Go to the “Music” tab and all your iPod songs will be shown there. Select the ones you want to trasnsfer to new computer. Click on "Export > Export to PC". 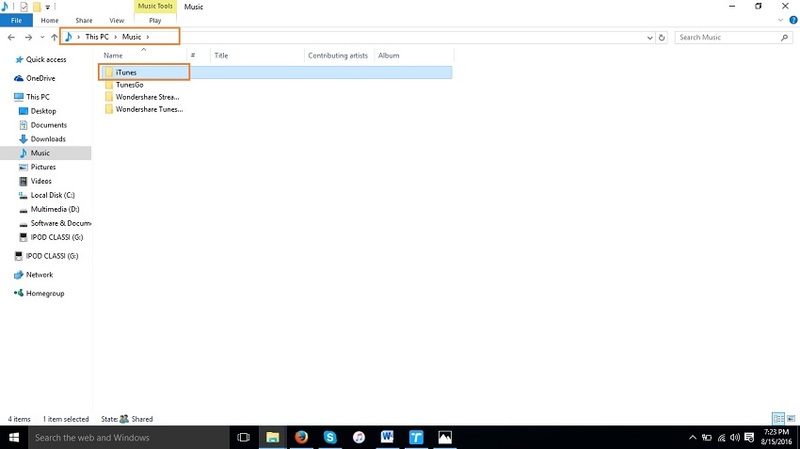 Hit "Add > Add File/Folder" to locate your computer music. 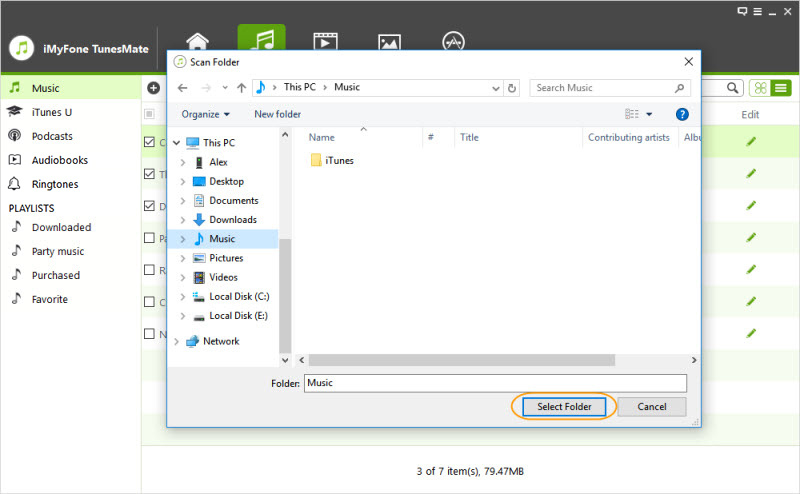 Step 3: Browse and select a folder on computer to save the iPod music. Hit "Select Folder" to begin. Od course, TunesMate can also help you to sync music from new computer to iPod. TunesMate is easier to use than iTunes. You won’t lose any data just because you sync music that you didn’t buy through the iTunes store. You can pick and choose what kind of media you want to sync. It is not limited to any kind of format. Of course, this isn’t all that TunesMate is capable of doing. It can transfer files one at a time if you want, and you can preview each one before you send it to your computer. 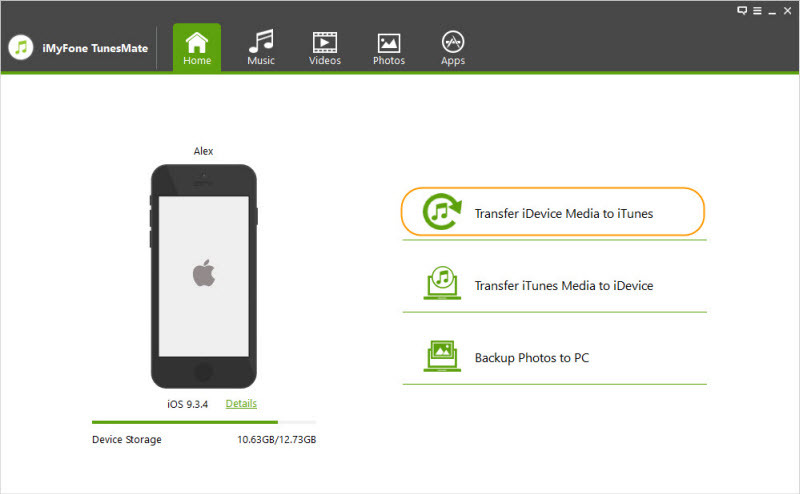 You can also transfer files from your computer to your iPod, or even from one iOS device to another. Step 1: Launch iTunes on your old computer. Step 2: Sync your iPod as you normally would, if needed. 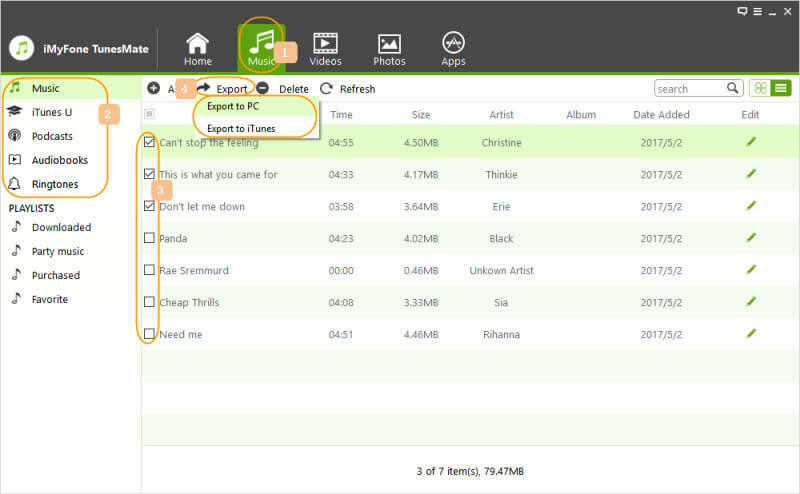 Step 3: Copy iTunes folder (in [Computer/This PC] > Music) onto external media, like a hard drive or USB stick. Step 4: Install iTunes on the new computer and make sure the it is the latest version. Step 5: Go to your Music folder on new computer and paste the iTunes folder from your old computer there. See, you need to copy the music folder from your old computer first. And you should have an external drive in this way. Comparing these two methods to sync iPod to new computer without deleting songs, it is clear which is the best and most convenient. While iTunes is nice because it is the official Apple software, it has some very annoying limitations. For one, it doesn’t let you put your media on very many devices, and you also have to have a working old computer to be able to safely transfer your files to your new computer. You also can only really sync your data and it’s hard to transfer one file at a time. iMyFone TunesMate by contrast allows unlimited unidirectional transfer of all your files. You can transfer one file or as many as you want. You can transfer just about any file type, and you can share files between unlimited devices. The advantages here are obvious.